Just because your business isn’t based in a particular city doesn’t mean you can’t utilise one of their telephone numbers. Any callers would simply pay for the call as they would any other UK geographic number, or alternatively it would be deducted from their bundled (often free) call allowance as is common with most mobile phones and fixed line packages. City numbers are popular with businesses that are not physically located in a particular city or region that they operate in. Good examples are tradespeople, like plumbers, builders and electricians. Most are willing to travel further than you would think; yet most would assume they only operate in their immediate vicinity. Advertising different city numbers would take care of this problem. Here at Alphatalk, our city number products are competitively priced. We won’t tie you into lengthy contracts, so city numbers can be utilised when you need them. Speak to an Alphatalk team member today on freephone 0800 093 2193 or by visiting our city numbers page to see city numbers for the most popular and fastest growing locations. What is a city number? City numbers refer to telephone numbers designated for specific cities and towns in the UK. Examples include 0121 for Birmingham, 0161 for Manchester and 0113 for Leeds. How much does it cost to call a city number, such as 0121, 0113 etc? The caller pays for the call. Calls to city numbers such as 0121, 0113 or 0161 are treated no differently to other geographic telephone numbers – for example, somebody at the end of the street. Which city numbers do you keep in stock? Alphatalk has stock of telephone numbers for the most popular and fastest growing cities in the UK. By population, Birmingham, Manchester, Leeds and Glasgow are leading the UK outside of London. How can my business use city numbers? City numbers can be utilised by businesses in a number of different ways. With city numbers, businesses can appear to be located in multiple cities without the expense of opening multiple offices. Customers that would prefer to deal with a local business will have no hesitation calling a number that’s the same as theirs. 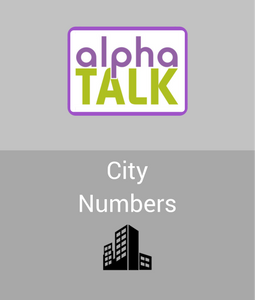 Alphatalk’s city numbers can be diverted to both landline telephone numbers and also mobile phone numbers. Simply take the number with you if the business moves to a new premises, avoid disruption and expensive printing costs for new marketing literature.